A little company in Pasadena has taken on one of the biggest challenges of modern life: improving urban commutes. Millions of people worldwide travel to and from workplaces every day, and as cities grow more and more congested, commuting has become one of the most frustrating and unhealthy rituals we all experience. 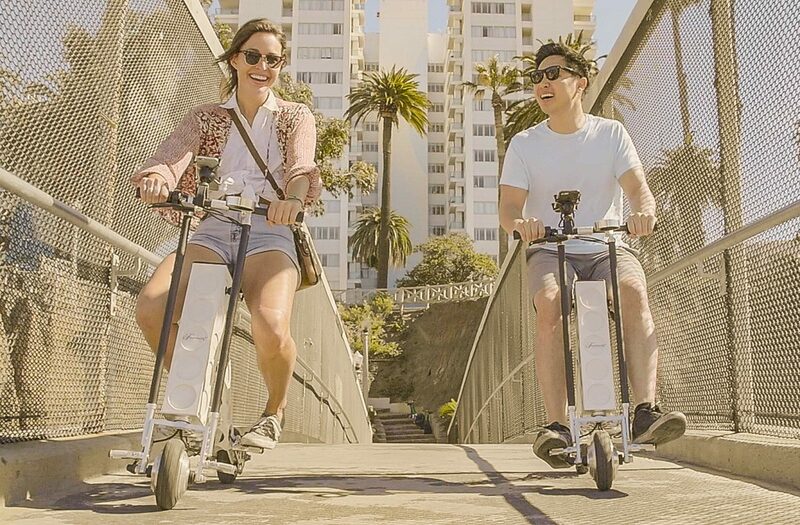 That daily slog is why URBAN626, a design startup in Pasadena, California, invented the URB-E, a compact, foldable electric scooter that transforms urban commuting. 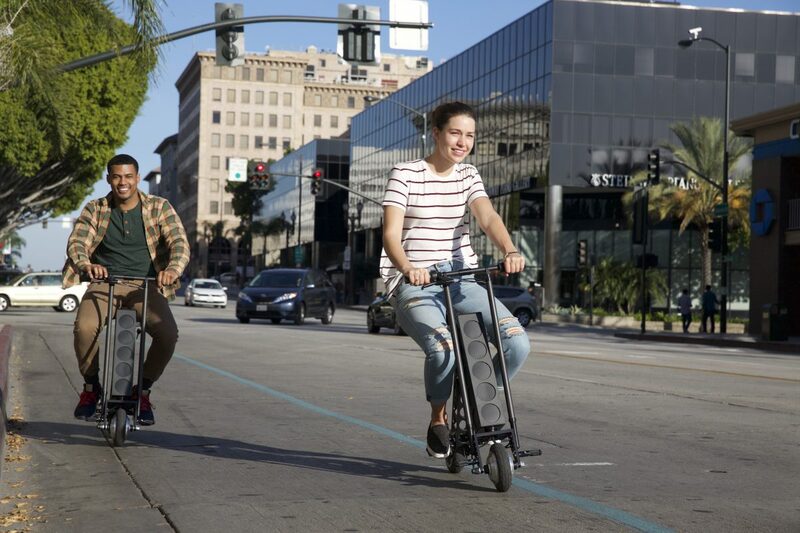 URB-E electric scooters are designed to solve the last mile problem of urban commuting. They're ideal for those stretches between transportation hubs and your final destination, such as the mile between your house and the metro stop, or the bus station and your office. 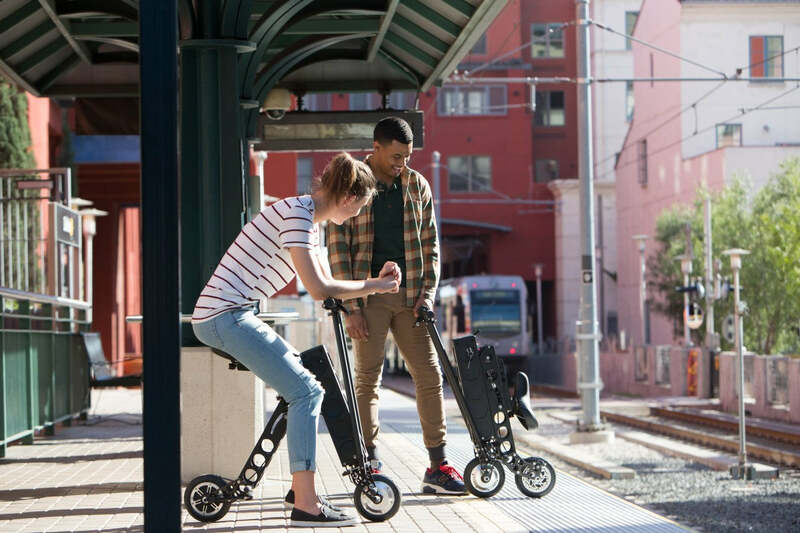 Traveling up to 15 mph, URB-E is an efficient way to travel on city streets and sidewalks, and at only 35 lbs, it’s easy to take onto trains, buses, trolleys, or to toss in the back of a car. When folded, URB-E is just about the size of a golf bag, so commuters don’t hog space on crowded transit. URB-E has a 20 mile range and charges in just under 4 hours, meaning most daily destinations are well within reach. 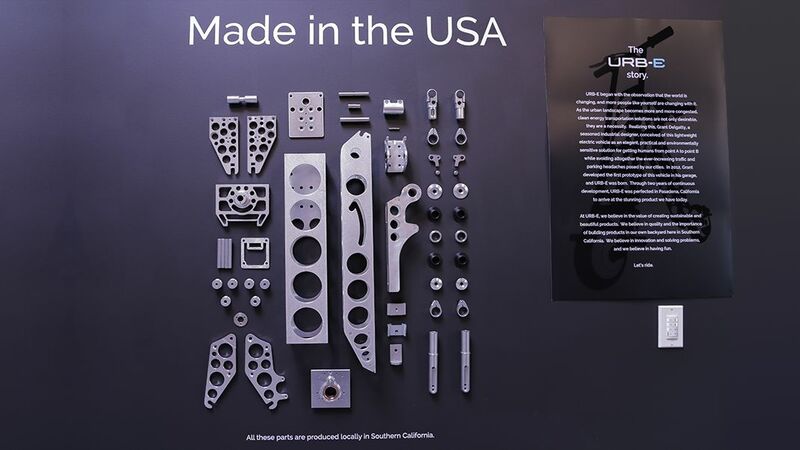 URB-E was designed and built by hand in Pasadena, California. Engineered by the former head engineer at Porsche, URB-E is the cream of the electric scooter crop. We pride ourselves on manufacturing one of the few American-made personal electric vehicles on the market, and our LA-based team is just a phone call away to answer any questions you might have. We are in the midst of a global shift towards urbanism. It’s estimated that by 2025, 70% of the world’s population will live in cities. Many of these new city dwellers will be joining the growing middle class, a demographic that typically gravitates towards car ownership. The problem is that today’s cities are already facing more car congestion than they can handle. Traffic and pollution have reached their maximum, and cities need an eco-friendly way of connecting transit hubs and making public transportation comprehensive enough to meet increased demand. That’s where URB-E comes in. It’s compact and lightweight enough to carry on trains, buses, trolleys, and ferries, but it’s also powerful and comfortable enough to get you last mile (or three) without a hassle. Our pedal-free design allows URB-E to be ridden by people of all sizes and skill levels, including riders in professional work attire. Even better, URB-E is 100% electric and built in the USA for a sustainable future. URB-E has already transformed commuting in major US cities like Boston and Los Angeles. Getting around town on URB-E is often faster than driving a car, and when parking, gas, and other commuting costs are factored in, URB-E is usually more cost-effective, as well. URB-E is designed to fit your unique lifestyle, which means it’s not only compatible with all manner of commutes, it’s also customizable. Outfit your UBR-E with a basket, cupholder, leather handle, or one of our other premium accessories, and tailor it to your lifestyle. Remember racing around the block on your bike as a kid? Riding URB-E feels a little like that. With the wind in your hair and the traffic jams behind you, you’ll never go back to driving a car again, especally when you see how much you can save on gas and parking. With URB-E, you can ride the train or the bus, or even call a cab home at the end of a long day (we won’t tell anyone). Questions? Want to learn more about the electric scooter of the future? Call us at or email support@urb-e.com.